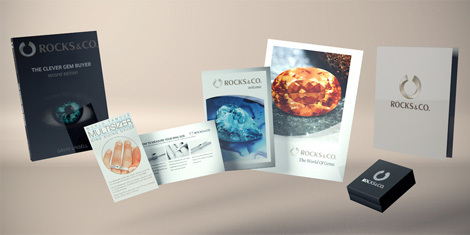 www.rocksandco.com is a site operated by Juwelo Deutschland GmbH ("We"). We are a limited company registered in Berlin/Germany at Amtsgericht Charlottenburg under company number HRB 72512 and have our registered office and main trading address at Erkelendamm 59/61, 10999 Berlin, Germany. Other than as set out in our Membership Terms and Conditions, you must not modify the paper or digital copies of any materials you have printed off or downloaded in any way, and you must not use any illustrations, photographs, video or audio sequences or any graphics separately from any accompanying text. Different limitations and exclusions of liability will apply to liability arising as a result of the supply of any services by us to you, which will be set out in the terms and conditions applicable to that service and notified to you before you use any of these services.